On March 22, 2016, two bombings hit the city of Brussels. The bombings at Brussels airport and the metro station Maelbeek, which is located in the heart of the city and close by many European Union institutions, left 32 people dead from around the world – not including the three suicide bombers. As would later be the case with the Manchester bombings (May 22, 2017), several days later documents by IS were released to outline and justify these attacks. 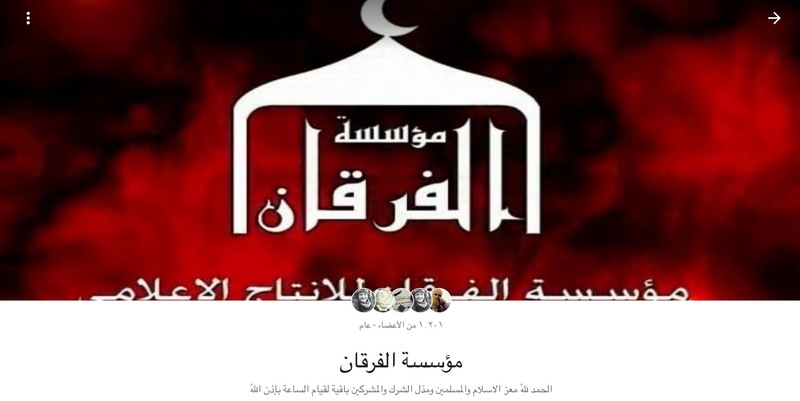 Based on theological grounds and grievances echoing from within the territory held by IS, a document was published on March 25, 2016, by al-Wafa’ – an official media organ of the “Islamic State”. The text is entitled “Ten Reasons to Clarify the Raids on the Capital [of Belgium] Brussels.” Penned by a woman by the nom de guerre of Umm Nusayba, ten reasons are clearly outlined why suicide bombers had attacked the airport and metro station. This Arabic language text has not played any role, in the media reporting or the wider academia, to understand the motivation behind this terrorist attack – in the words of the terrorists. The same re-occurred when a similar text was released days after the May 2017 Manchester attack (here). It almost seems that ISIS has the luxury of disseminating their coherent extremist writings well knowing it reaches their target audience and bypasses most of the non-Arabic speaking counter-terrorism, media and academic analysts. Apart from being published on Telegram where a wider range of ISIS sympathizers is initiated into this mindset – and where most speak Arabic. The text references theological nuances and sentiments such as shirk as outlined earlier and maintains the obligation to attack the mushrikin and to “shake their thrones”. Abu Mus’ab al-Zarqawi, AQ leader in Iraq and the Godfather of IS used the very same part of the Qur’an to reason the kidnapping and execution of four staffers of the Russian embassy in Bagdad. The crimes committed in Chechnya and the Russian presence in Iraq had been the prime motivation to individually punish the members of the embassy for the Russian military engagement in the Caucasus – and ten years later to dispatch suicide bombers to attack critical infrastructure in Brussels and hit civilians. Abu Mus’ab al-Zarqawi, even though dead for over a decade, has left a substantial legacy. His speeches are from time to time featured in new IS videos and highlight the claim of fighting on behalf of the “prophetic methodology” that was conveyed by avantgardist fighters and leaders such as al-Zarqawi and others. This is part of the basis of the partial reading of Qur’an 2:194 within the Sunni extremist ecosystem. All of the above-cited works are translated from Arabic. 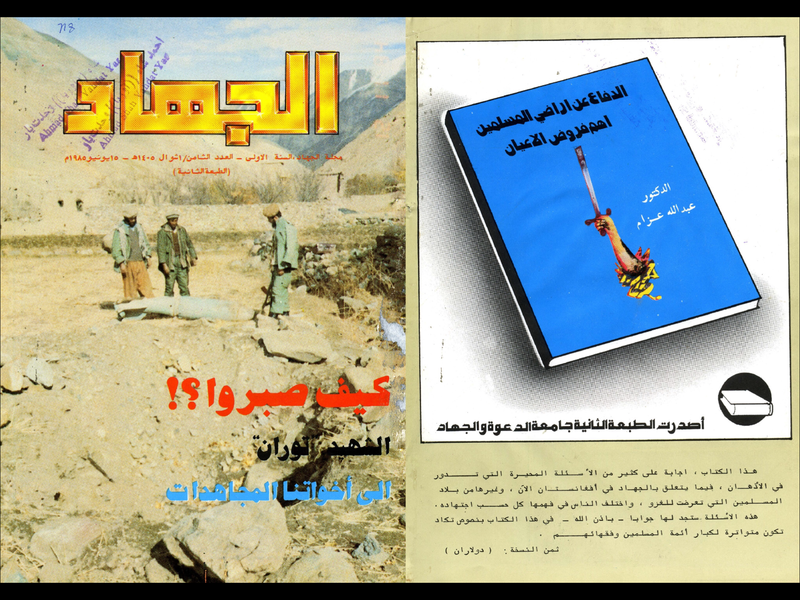 All writers had been native Arabic speakers and their works and actions continue to inspire the current as well as future generations of extremists. The readers of Umm Nusayba’s 2016 reaction to the March Brussels attack have most likely seen videos of al-Zarqawi killing hostages and at least parts of al-‘Uyairi’s work. 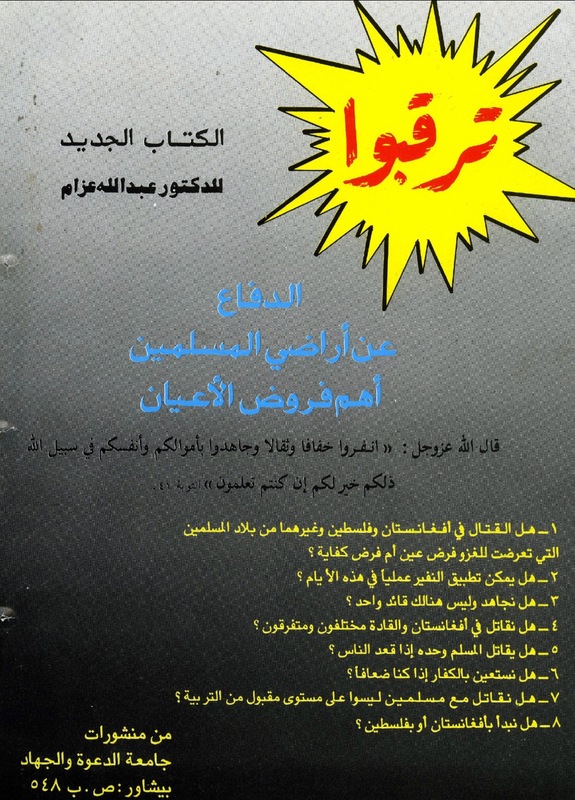 This is part of the materials disseminated (either in full or partially) on Telegram, where Nusayba’s authoritative work, as published by ISIS official media al-Wafa’, has been released. The third point is in particular relevant, as the growing polarization comes into play, roughly eight months after the refugee crisis hit Europe in the Summer of 2015. The “tyrants” as outlined in the previous chapters; the reference is commonly used for defined un-Islamic rulers in the Middle East and also references western governments who are engaged in a new crusade against Islam. Umm Nusayba, “’ashara asbab bayyina l-ghazwi Brussels al-‘asima”, al-Wafa’, March 25, 2016. Obtained on Telegram. Lit. : “increase the voices of men of war”. Yusuf al-‘Uyairi, ‘Amaliyya “masrah Moscow” madha rabiha ‘l-Mujahideen minha wa-madha khasiru?, 5-6. Yusuf al-‘Uyairi, ‘Amaliyya “masrah Moscow” madha rabiha ‘l-Mujahideen minha wa-madha khasiru?, 5. Yusuf al-‘Uyairi, ‘Amaliyya “masrah Moscow” madha rabiha ‘l-Mujahideen minha wa-madha khasiru?, 6. Lit. : “repelling the attacking aggressor”, daf’a al-‘adu al-sa’il. This is a reference to Ibn Taymiyya and also a slogan that was used in the Sawt al-Jihad magazine of the first generation al-Qa’ida branch in Saudi Arabia where al-‘Uyairi had been a core media member and its first leader. Lit. : “men of religion” (rijal al-din). Abu Mus’ab al-Suri. “Risala ila al-Britaniyyin wa-Europiyyin sha’ban wa-hukumat bi-sha’n tafjirat London”, July 2005, al-muqawamat al-Islamiyyat al-‘alimiyyat, 35. Lit. : “giving their endorsement to them”. Yusuf al-‘Uyairi, ‘Amaliyya “masrah Moscow” madha rabiha ‘l-Mujahideen minha wa-madha khasiru?, 7. ‘Abdallah bin Muhammad al-Rushud, “al-muqassid al-thani min muqasid al-jihad: al-da’wa ila llah” Sawt al-Jihad number 18. Risala ila al-mujahidin wa-l umma al-Islamiyya fi shahr Ramadan li-amir al-mu’minin Abu Bakr al-Husayni al-Qurashi al-Baghdadi, Mu’assassat al-Furqan, Ramadan 3, 1435. This is a slogan that was utilized by ISIS in the wake of the attacks in Paris, November 2015. Videos released by wilayat Homs in November 2015 show French foreign fighters responding to the attack. The same media tactic was repeated shortly after the attacks occurred in March 2016 in Brussels (w. al-Raqqa, March 26). Worldview might come to mind from a a-religious western angle, yet it would neglect the appeal of physical-spiritual life in this world and the continuation of one’s existence in the ‘afterlife’ and paradise. Mu’awiyya al-Baghdadi, “madha jana al-tahaluf al-duwwali khilal akthar min ‘amayn min harbihi dudd al-dawlat al-Islamiyya, Mu’assassat Ashhad, May 2, 2017. Part 7: How does IS use Telegram to recruit European foreign fighters and terrorists? Throughout the Summer of 2016 apparent lone wolf attackers struck in France, Germany, Russia and the U.S. The attackers acted on behalf of the “Islamic State” and in most cases selfie-styled videos had been made and uploaded to IS media operatives of Amaq Agency (wakalat al-‘Amaq). The short videos followed a classical Jihadist modus operandi, with the exception that these had not been foreign fighters, but rather either local French, American citizens, or as in the case of Germany, refugees from Syria or Afghanistan. Omar Mateen, U.S. citizen born in America, attacked a night club in Orland, Florida in June 2016, leaving 49 people dead and 53 injured. Jihadist users on Telegram had been quick to disseminate pictures of Omar Mateen – after these had been released by the mainstream media – to praise the attacker as a martyr and a “soldier of the caliphate.” A trend on Telegram quickly emerged to refer to such attacks under the hashtag “in your homes”, a reference to the jihadist understanding of the division of world into “dar al-Islam” (abode of Islam) and “dar al-kuffar” (abode of disbelievers). As French, American and other nation’s combat aircraft continue to bomb IS, the “dar al-Islam”, IS seeks to inspire and theologically guide attackers such as Omar Mateen to conduct revenge operations in the “depth of your abodes” (fi ‘aqr diyarikum), as the Arabic hashtag for “in your homes” advocates. Whatever the jihadists produce for publication, always is theologically coherent. The Syrian refugee who failed undertaking a suicide bombing attack in Anspach, Germany, as well as the Afghan refugee who at random stabbed passengers on train in the region of Würzburg had filmed their final statements beforehand. These statements are – just like the 9/11 “martyr’s” videotaped farewell message or the 7/7 bombing attackers last words – the testimony (wasiyya) as much as a legacy. Allegedly, Telegram was used to communicate from within the caliphate with at least some of the attackers who then in turn used the app to upload their self-filmed wasiyya. This video was then edited and branded with the Amaq logo and released to the IS Telegram community with the intention that the swarm with fan it out to other online sites and platforms for maximum visibility. The value of continuing its successful influence operation has driven IS on Telegram to dedicate media channels and media operatives to translating and producing new content for a specific French, German, Italian, English, Russian, and Bahasa Indonesia audience. All of these non-Arabic materials are theologically coherent with the universe of over 30 years of Sunni jihadist writings and videos. This is not new, and was also part of AQ’s strategy to draw potential recruits in via the Internet, but IS has formalized the process having the advantage of time, money, territory and dedicated resources to elevate this process. This has led to a two-fold production line: (i) official and (ii) user generated content. Together, these packages carry a range of messages which focus on the importance of the individual to take action. They highlight the ethos captured in the ‘Open Source Jihad’ as set by AQ’s English language magazine “Inspire” where barriers to entry are low and anyone can contribute. For example, they encourage individuals to realise that not all attacks have to be complex coordinated operations, nor use sophisticated weaponry, nor focus on a specific high profile target. Instead they articulate that anyone can strike a blow for the Islamic State. A video, for example, published by IS in April 2015 entitled “Hunt the Safavids” a French suicide bomber speaking in French (with Arabic subtitles) eulogises Muhammad Merah, the Toulouse shooter and clearly phrases what ideologues have authoritatively stated for many years: hijrah is an obligation, however if one cannot physically join jihadist movements in the Middle East and elsewhere, attacks are a legitimate substitute. Both actions grant the individual entry to paradise, the objective that drives Sunni extremists worldwide. On November 26, 2016, IS released a video in French with Arabic subtitles. The video was published by Furat Media, a dedicated IS-media institution that produces content for non-Arab(ic) audience. As always video is in 16:9, full high definition, and features eulogies and praise for the span of lone wolf attackers in 2016. The film, entitled “Sur leur pas” demonstrates vividly how IS uses and perceives Telegram for their purposes. Screenshots of the video highlighting attacks, assailants and encrypted communication on Telegram. Assailants are introduced and areas of attacks highlighted. Combined with mainstream media footage of respective attacks, IS boosts these as revenge operations and part of the “Islamic State” ‘foreign policy.’ Telegram chat exchanges claim to ‘document’ that some of the aspiring IS fighters had expressed the wish to conduct the hijra and join IS, but had been warned this being to dangerous. Rather, their intention can be translated into conducting attacks in their home countries instead of risking arrest for seeking to emigrate to Syria or Iraq. The final screen shows an elder Arab man crying over the death of his family and destruction of his home as a consequence of coalition bombing sorties against IS. A young man with his side arm ready watches the French language subtitled Arabic video and then shuts his MacBook to exercise revenge and restore dignity for the Sunni Muslim community. Lizette Alvarez et al, Orlando Gunman was ‘Cool and Calm’ After Massacre, Police say, The New York Times, June 13, 2016, http://www.nytimes.com/2016/06/14/us/orlando-shooting.html?_r=0.